Ya got a lawn? If you do, DUMP IT FAST cuz it sez something awful about you. READ the “ IN PRAISE OF NO FRONT LAWN (*an article you can CLICK on…) Take your garden leaves now, the autumn leaves of all neighbors, and do all your curb strips with leaves melting into compost for next spring. Fill front and back yard with piles of leaves. Add manure, food scraps, no fat or meat. Take out the lawn by lifting it in chips, turning OVER each square onto the leafy compost pile. Cuz, get real. YOUR GREEN LAWN tells us that you’re a bourgeois twit and you’re spending a ton of money on feeding, cutting and watering it, poisoning the environ with all the high maintenance chemicals it needs and wasting money also spending ten times what you need to spend on fruit and veggies when you could grow everything including the gas in your tank. If you had a still to distill grains. But they'd probably think you were making gin to sell to pay for gasoline. Then, there is GUERILLA GARDENING, done on curb strips, in vacant lots, done by teams who move at night. Because face it, vacant lots or not ecological, Homes with big chemical hungry Lawns are NOT eco-friendly. Lawns eat up way way more water than a vegie garden and orchard and they give you nothing but sterile soil. They require you to waste vast quantities of money on the fertilizers required to keep them green. Get rid of the thing. I had 300 feet of curb space, six feet wide, had been ‘grassed’ for sixty years. I dug it up, turned it over so it would rot, added autumn leaves from my neighbor’s green barrel and within months it was fertile black humus with worms. HAVE NO idea how that happened. In back yard, I use autumn leaves on patio and MULCH leaves on all the garden paths, (I laid out a wild grid of paths when I turned a vacant lawn into a complex garden).. Replace lawn with RAISED BEDS. Found lumber edges it, or broken concrete or stones. You Can START A GARDEN IN SPRING. See: http://www.masterjules.net/springard.htm Use your own home made COMPOST that you got lifting lawn chunks into a pile last Autumn. You threw contents of everybody's black trash bag of leaves on it, layered those two with a sprinkling of worms that you located in rich, old corners where soil is not hard, it's like compost, and now that magic combo has made compost which fills the raised beds. ROOT EVERY PLANT or cutting pals give you from their garden. They will give you dozens of clippings. HUNDREDS MAYBE. While you are waiting for the lawn to MELT DOWN in your compost pile, Do your CUTTINGS. Free landscaping from little pieces of plants. Especially at summer’s end when you want to get all those WINTER ANNUALS, BIENNIALS started. Cold hardy flowers, veggies are used in areas where there is no SNOW. IF YOU HAVE SNOW, PLANT AT LEAST HALF THE GARDEN IN EXTREMELY HARDY PLANTS and take WINTER CARE of perennials. IN CALIFORNIA we have many plants that do well in WINTER. It is possible to create a vegie garden in August when HEAT dies down, or wait til SEPT or OCT..if it doesn’t die down… using COLD SEASON items, (peas, salad, greens, which will live over in SO CAL until FEB. ) Only if you have no serious Winter freeze. Or start in early Spring under a tarp off eaves if you have a freeze if you are doing HEAT lovers.I had tomato plants winter over (*LIVE!) in cracks on south side of foundation!. When last frost is over,set out yourROOT STOCK for an orchard . (Fence the front yard with CYCLONE FENCING, as it’s mega cheap, throw food bearing vines on it. (and IVY to make the cyclone ELEGANT) And while you’re at it and get drip emitters. My senior neighbor B.J. taught EMITTER TECH at Pierce Agricultural College a few miles from here. His front and back yards have this thin, black plastic conduit pipe going down every line of pots of growing things. Some in ground but mostly pots. An hour of turned on pipes a day at the right time, (being A.M. and chosen by the computer robot, he has nothing to do with it,) and he’s home free and I do mean free aswater goes right into every plant’s area or pot so it ends up being much less cost than me with my hose doing an hour in front, an hour in back, daily, and I end up paying $1.50 a day for water. . See the deal is, this method is economical, barely uses any water at all as you’re targeting the roots with the emitter tips. ISRAEL did it to a million miles of DESERT, TURNED SAND INTO a GARDEN full of PROFITABLE AGRICULTURE! GIMPY PROFIT FACTOR: Be forewarned -- Farmers earn the same amount they did thirty years ago, not related to the value of the dollar. I DO NOT mean that what was a buck then is three bucks now but that three bucks TODAY is harder to earn than a buck was THEN and has the same spending power today as one buck did then. YET Romaine was one sixth of an hour of work then and it's one sixth of an hour of work today. Farmers EARN the same or LESS for produce than back then! Go see the PEOPLE'S HISTORY WEBSITE Do a review of prices back in 1986. I did, was totally amazed. Broccoli was 39c then, 99c today. But that's the same in work terms. Eggs were 99c then, 4$ today. Okay a ratio of four...in bucks but in terms of hours of work to pay for it? THINGS are more costly today. LAST FACTOID: houses cost 20 times more today, cars cost 20 times more and gasoline 20 times more. Salaries are less than back then. Especially farmers. Do the math and you'll see that poor farmers get no respect! Watch them go bankrupt, have to sell to AGRIBIZ. Right now AGRIBIZ has GOV cutting the water out from under farmers to ge their land. HOW could RICH CORPS influence POLS who together create inflation and the family farmer isn't part of it? Cuz BANKSTERS RUN THE ECONOMY. IN COLLUSION WITH CORPORATIONS! AND GOVERNMENT ITSELF. PEOPLE RUN NOTHING! Until they become NET ACTIVISTS. Now is the time to turn over the lawn, rot it down into good soil, grow & eat organically and have a good disease-free life. WHO NEEDS sprayed APPLES at 2$ a pound? Not you. You can juice your crop all autumn and never spend a time on BOTTLED stuff from concentrate. It doesn't matter what season it is when you read this! If it's winter, summer, spring or autumn. TAKE OUT THE LAWN. OR use part of it as a lawny path. Mark it with spray paint in meandering serpentines.READ GARDEN LAYOUT. You will need an oval pointed tip shovel,a flat shovel, a can of spray paint to mark the edges of paths,a hand trowel of solid steel, not tin or plastic cuz they bend as soil is damn hard when we start a new gardenbut find out about THE EASY WAYTO GARDEN and it is an easy breezy, no energy, no COST way…for newbies, oldies, lazies like me.Even for folks in rented cottages. LIKE ME! HOW TO GROW TIGHTLY SPACED, FOOD-BEARING FRUIT TREES, VINES, VEGETABLES when you FOODSCAPE THE AVERAGE CITY LOT – ANSWER: THE GROVE EFFECT! Walk the vacant lot planning your curving, meandering paths. Mark them or spray them. Start building your DRY STACK concrete edging or lumber and stakes. Keep the paths narrow. You aren’t going to mow them, but if you want grass on paths, measure your mower.I use plain dirt on all paths and all summer long, I life off rich soil that erodes to it, with a MULCHER VULTURE. Create your compost pile as you will need SOIL at low cost, or free. A HUGE TRUCK FULL OF MUSHROOM SPOOR is best soil ever, and the mushroom grower nearest your home has to get rid of it every two weeks. So offer to haul it away free. Go to market, find out who's growing mushrooms in your area, phone / email them then drive there. A few truck load trips and you're ready to grow. Hey, if it’s summer when you’re at the super market, ask produce man for all the bags of CORN HUSKS that are on site. Load your trunk, take home and compost them. He usually has them stuffed into plastic bags the size of a man. They may not be perfectly ORGANIC. Lick one, see if you get HIVES! BE A MAGPIE! To have enough compost for your garden, you need chutzpah because you are going to take others’ trash, lawn cuttings, bagged autumn leaves. AND you will need a ten by thirty piece of bare dirt. It has to be close to a gate as you are going to WHEEL in the green trash cans of your neighbors. I have often done it on the curb strip and my fave is the driveway strip. As for your own stuff: use soil amendments, the rotted corn husks from the super market in summer, (bags high as your chest twice a day. Be prepared for astonished stares as you wheel the black bags out of market. Corn shucks are very fine and easy tho may not be strictly organic, you know! Once laid out, buried, they are ready in three months flat. Rot them down with a few trash cans full of manure, or if you have a truck …a load of cow manure from a local dairy, with enough HEAT in the rotting process that the weed seeds die. Compost your heap with a lot of green leaves and grass so that it gets heated up. Bags of already rotted down manure at 88c for a huge 2 cubic foot bag are cheap enough but they do not heat up the pile. One great thing to add to your soil is a Bale of peat. Biggest one at the store, about 14$. It must be added wet, so have a bucket handy. Add Sand so that the peat won’t retain too much liquid. BEST SAND IS COARSE, not BUILDERS’ SAND. MAKE YOUR CAT WORK FOR YOU! Old fashioned cat litter is rich in urine, is a great addition, makes the soil very friable, even clay soil like mine. BUT remove the turds. The urine is the best part and it really fertilizes! It is pure urea, just like commercial urea costing l0$ a bag. They say pregnant women should never garden in the soil there after, if you use cat litter due to toxiplasmosis virus. Plan accordingly . I take all turds out, throw litter in big plastic tubs, wash it, splash rinse water on plants in the area of the tub (no carrying.) Rinse water doesn’t hurt anything at all. I CHECK. I research. I watch the plants Then the final rinsed sand is mixed with compost in BINS before transferring to individual pots. PLANTS LIKE IT. Cuz cats LOVE PLANTS! Now, You will need some seeds from the store. I like the 99c store as they sell 6 packets for a dollar. Then there’s the fruit and vegetables I eat. Super Markets have tomatoes, full of seeds, fava beans, dried in bulk, easy to grow. Friends’ gardens have all kinds of seed pods maturing. Every citrus seed grows identical to parent, plant wet, don’t dry out OLIVE TREES for your new BUSINESS are not grown from seed but cuttings. Most gardeners give away seed free. I do. See THE SEED LIST. And they will give you cuttings. Graft tips on in last week of WINTER, you can create a tree on top of your tree. But be on the look out for free cuttings and seeds in every alley. If you examine a plant, you will see where it is in its seed producing cycle. Wait til the pod forms and dries somewhat.. AND EVERY SUMMER, THE SOUTH AFRICAN CROCOSIMIA GIVEAWAY! Only time of year I can dig up the bulb! Store til cold nights come, then plant. In icy areas, store til Spring, then plant. POTTING SOIL is way too expensive 5$ for two cubic feet ! BAGGED GARDEN SOIL is barely fit for mulch. So get mushroom spoor or make your own soil in a compost pile. Flats are available at garden centers. They will give them to you if you ask. Get to know the clerks there. Or use whatever apple box is around. Line them with anything, plastic placemats are fine, even PLASTIC is good if you cut little holes for drainage. Burlap works, just as long as soil can not fall out of the holes though roots grow INTO the stuff when plants get bigger, so don’t let them. Move plants when a few inches high. But you wantholes, little ones for extra water to drain out of the flat so plants do not rot. The irrigation must escape from some of the small holes so soil won't get sour! Sour soil rots the seeds.- ALL THIS AMAZING TECHNOLOGY is COVERED IN THE BOOK THAT CATO THE ELDER LEFT THE ANCIENT ROMANS. You will be using the extant beds outdoors, creating meandering paths, PRIMER ON LAYOUT here. You’ll be adding enrichments to the dirt in beds, not under the paths! While you can buy dirt, by the truck load, or from a MUSHROOM producer, who has to throw away a truck of spawn a week, don't buy it. Create your own. ADD stuff to the yard soil. Seek out compost, that soft, fluffy, black soil you have in little old crannies in the yard as opposed to the brown, dry, lumpy soil.. The best compost is found under pinetrees, as the needles rot into acidic humus. I don't see the sense in paying good money for dirt. You can manufacture dirt! You should really start a compost pile. Use natural compost under bushes for the time being, picking out the sow bugs as they eat seedlings but while the seedlings are growing, which takes a while, you will be making compost piles all over the garden. PILING trash, leaves, cat litter, kitchen garbage in each mountain. Plant your seeds in the available compost that's already there, probably enough for ten flats, start your garbage piles for September planting.. then kick back and read these articles on what you need to know. NEW! THE RAIN CATCHER. Looks like a garden sculpture, but it IS utilitarian to the max! The One PROTEIN you don't want to grow on your farm. SWEET, KIND LITTLE RABBITS! The ONE PROTEIN YOU DO WANT TO GROW. BUILD AN EMPIRE ON IT. VEGETABLE MEATBALLS! RENT A CHEAP SHACK IN TOWN meaning get out of that apartment building with no yard space; TRADE PARTIAL RENT FOR YOUR GARDENING/ LANDSCAPING, WATERING, DÉCOR- FIXING with LANDLORD. Thusly you can save money to buy a real FARM or drive 20 miles on weekends with the family for a community farm garden. PREPPERS, take note of ACORNS. WHO KNEW this NUT could be the mainstay of your neighborhood getting thru hard times? An OAK tree produces one thousand pounds. Any baked good can be made to use ACORN MEAL as flour. INTENTIONAL COMMUNITIES. “He who has soil will toil,” Yogi Bhajan said. AVOID THAT SORROW with a COMMUNAL FARM! WATER WAYS IN YOUR CITY are POLLUTED FROM RAIN RUNOFF? Plant TREES for that carpet of autumn leaves which are great dirty storm water RUNOFF protectors. THE ENCLOSURES: which the Rich invented to get all the farmland leaving you paying high for food! One can build very simply, your own SMALL HOME, maybe an EARTH-HOME. GLEENING CONSTRUCTION ITEMS & GLEENING HEAT! THE COMMUNAL FARM as a CO-OP, based on the Method that saved then enriched thousands of PEOPLE in BASQUE SPAIN! THE EASY, SMALL “BUILD IT YOURSELF” HOUSE. Buy ten acres, outside of ten cities, rent the main house, they garden, do orchard care, you build a guest house for yourself in each property. You then build a mobile house, free plans! It is incumbent upon you to BUY REAL ESTATE. STOCKS are BILK CITY!For MORE on Buying Real Estate in a snazzy, super Guerilla capitalist way, read THE REAL ESTATE INDEX page. AVOID GMO crops.They fall in, causing the farmer misery, financial loss. Bankruptcy is designed into them! YOURS! NEW! A one TRUCK BIZ for your teen aged sons, DRIP EMITTER WATER WEBS, Fantastic for the DROUGHT WORLD we’re about to have, (Sorry Kevin Costner, water world ain’t a reality!) also, do it as a ghetto charity! The CISTERN. Every home should have one to store rainwater. If not, imagine a TUB SYPHON for bath water to go to garden! NEW! HOW TO GROW BERRIES FOR FREE – DUMPSTER BERRIES! HALF ROTTEN. GROW JES’ FINE! How to grow roses for free, sell bushes for l0$ each, the best roses out there, the most fragrant. NEW! PLANT CURB STRIPS with FOOD BEARING CURBSIDE TREES! FINE, ONLINE REFERENCE LIBRARY FOR GARDENERS! The MUSCAT GRAPE, the best flavor in grapes today. Get a few vines going now. Ask around to get the real thing, though. ANALYZE, are you a CITY GARDENER or do you want to BE SELF SUFFICIENT in the COUNTRY? Do you want to increase your house’s value with an EPIC GARDEN? WHAT WOULD IT TAKE TO LIVE IN THE COUNTRY on a FEW ACRES of ORCHARDS? 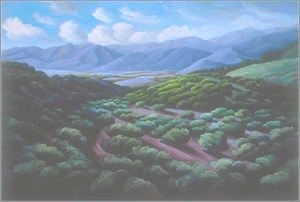 HOW TO FIND THE MOST BEAUTIFUL VILLAGE OR TOWN IN CALIFORNIA or any state. If your RURAL LOT has pine trees, imagine this! Hand Built Rustic home! HOW can my family and a few other families share a farm for annual vacation getaways? What about Local Regulations about LAND-USE, non-farm dwellings, non-ag-use? Won’t that prevent my moving ten families in? ALTERNATIVE HOUSING STYLES, SO MANY CODE-FREE DWELLINGS SPROUTING UP! How to pick a state? Easy. One with no state income tax or Sales tax! GROWING POTATOES FOR FREE USING OLD TATERS, starting them in egg cartons. THE FIRST PROBLEM is INCREASING TREND TOWARD WATER BEING RATIONED! EASY WAY AROUND THOSE LAWS/ CODES is DRIP EMITTERS. ISRAEL RUNNING OUT OF WATER, WILL GET ON GLOBAL WARMING BANDWAGON! THE ROOT CELLAR – What did farmers know? That the lights could go out? IMAGINE A ROOF TOP GARDEN. See a few different styles. Some, you won’t believe! SNAILS & slugs are a big PROBLEM with BABY SEEDLINGS if you don’t use raised TABLE or let POSSUMS LIVE! PLANTING IN JUNE? CAN IT BE DONE? PARTYING IN THE GARDEN IN JUNE MEANS KNOW YOUR BITING INSECTS. PLANTING in SEPTEMBER, which is the SECOND SPRING, we get every year, in warmer zones at least. WINTER PLANTING for southern latitudes/ Calif etc. I am being EVICTED from a RENTED HOME! What do I do with my GARDEN? Anita tells you “been there, done that” & Boy, oh boy, you’re gonna LOVE the answer! A VAN CONVERSION , A JUG OF WINE AND THEE BENEATH THE BOUGH!! THE PATH TO DOING A GARDEN FOR FREE.CUTTINGS! AND KNOWING where to find CHEAP or FREE TREES, BUSHES AND PLANTS. FIND your own Cutting Replication. Find the SEEDS. Know how to handle them. There are online Gardening tips related to PROPAGATION. GOOGLE that WORD plus the plant you want copies of. Add specific genus. And add the search term “replication.” Add + Plants and Cuttings” Putting a + sign between the words. I know I GAVE YOU ROOTING EARLIER here it is again! SPRINGTIME HAS SPRUNG! What do I do now? OK, I NOW OWN AN ACRE OF LAND. I TENT ON IT, WEEK-ENDS, NOW WHAT? I’m Broke! ANSWER: HOW TO BUILD A CORD HOUSE ---SMALL but comfy, warm, cozy with a solar panel on top. Build a WATTLE AND DAUB HOUSE – Take you a week! PUT in a CHIMNEY, STOVE, GRILL, all in one. THE TWIG STOVE also called ROCKET STOVE IS WILD!! ‘FRAID to PUT YOUR ON HAND CASH in A FARM? Need stronger motivation? What about this? Apocalypse is nigh. WHAT is in your FRIDGE? PANTRY? Not much, right? Well at the first sign of a problem you would need three weeks of food minimum. It can be in your garden, ALIVE, waiting to be eaten! Or in barrels with dry ice as in grains, pulse, seeds to grind and nuts in the shell. A huge yard dedicated to growing food year ‘round is gonna get you thru what MIGHT be headed our way! WHAT KIND OF CATASTROPHE WOULD THAT BE? THE FUTURE. COMIN’ AT YA! FASTER THAN YA THINK! Think you can’t duke it out I the wilderness? A farmer told me: “ I own my grandfather's house which he bought (cash) with money he earned during the depression. My wife and I have already prepared the perfect recipe for these times: we have zero debt.We don't have much but what we have is ours and daily we're becoming better off relative to our mutual-funded and over-mortgaged yuppie neighbors .I'm already harvesting rhubarb, onions and asparagus here and the lettuce, peas and carrots are coming up and there's deer, rabbits and turkeys in the woods so if worse came to worse, we'd make it. The wife makes wonderful preserves and I'm a fair hand at brewing my own beer and wine. As we often tell people, the downturn means little to us since we never had bugger all to begin with. My wife does some office work and housecleaning and I am a carpenter/plumber so we always seem to be able to scratch together a few bucks. Freedom from ‘want; doesn't come from wealth....it comes from not wanting so much.”And from organizing your orchard, garden and barn. GARDEN CAREERS, FENCE BUILDERS, STONE COLLECTORS, MOSS COLLECTORS, STONE FENCES, REDWOOD BOOKS SHELVES MADE OF OLD FENCES, BUILDING NEW PINE FENCES. WHY stop at a free garden? You can build a whole freebie HOME. Paranoia Acres. A study in THE REASONS TO leave the city. FREE SEED OFFER, Rare, unusual things grown by Anita, seeds are free, just send stamps to cover a big envelope. I’ll send through the mail. Now, you can afford to make mistakes. YOU DIDN’T PAY FOR THE SEED! NEIGHBORS are COOPERATING TO TURN LAWNS INTO FOOD-PRODUCING GARDENS. PASSIVE HEATING, NO BILL and no CHILL! Don’t be a RURAL NAIF! A FARMER WARNS YOU ABOUT RURAL REALITY! HOW TO MAKE A FARM EARN MONEY--CASH CROPS, OF COURSE! LUCRATIVE CASH CROPS. Things big city oligarchs pay dearly for! BERRIES-- SWEET ONIONS, MAUI ONIONS, ELEPHANT GARLIC. and REGULAR GARLIC as CHINA EXPORTS NEARLY ALL THE GARLIC USED IN THE WORLD AND IT IS TOXIC. WE MUST USE AMERICAN GARLIC ---- SESAME.--- WASABI or CHINEESE HORSERADISH --- GINSENG - HERBS - CAPERS! The SINGLE MOST PROFITABLE CROP YOU CAN HAVE, SMOKED FISH. What else goes for 20$ a lb? CHESTNUTS, the NUT is 4$ an lb, the FLOUR is 12$ an lb. ! ! PANNING FOR GOLD, FUN, HEALTHY, VERY HIGH PAYING. THE GOLD AND GEM PROSPECTORS’ INDEX PAGE. Before you leave town, Dept of Rehab will pay you to study up on the dozen trades you’ll need out on the farm just don’t tell them you’re getting out of Dodge cuz they do it so you can get a JOB in the CITY. Not become a GUERILLA FARMER! WHY WOULD my family WANT TO LIVE IN BumFuck Idaho? Out in the middle of Nowhere? What are the tricks of Surviving in the middle of NOWHERE? HERE are the SECRETS OF COUNTRY LIVING. Is nowhere safer than the CITY? YES! HOW COULD ONE CREATE A SAFE COZY FARM? Can I build houses on my land? Build with Strawclay It’s dirt-cheap! You have enough of it lying around fer gawdsakes! HOW? BUYING DEMOLISHED ARCHITECTURAL ARTIFACTS,VERY LOW cost & VERY beautiful! MICKY MOUSE THE CEMENT AND SAVE ALL KINDS OF MONEY! Secrets of a Master builder! HOW TO BUY A BIG OLE FARM, YOU AND TEN PALS, GET AROUND ZONE LAWS BY CREATING INDIVIDUAL, Agrarian “WORKER” VILLAS for each FAMILY in your COMMUNE AND do it as a non profit tax exempt foundation! REALIZE that RURAL LIFE CAN BE ROUGH LIVING. A Farmer’s Warning. I’m just a pretty girl, how can I get a farm? Sweetheart, if you have to ASK…..! CALIFORNIA DREAMING Or WHAT REAL CHANCE DOES A CITY SLICKER HAVE IN THE COUNTRY? FARMER/BUILDER TELLS US how he got his HOME out of the TRASH! GARAGE SALES AT FARMS NEARBY provide WOOD. Farmer tells all. BUILDING OUT OF ADOBE, VERY CHEAP, LASTS FOREVER, NATURALLY COOL! CROPS TO GROW ON YOUR NEW FARM:AMARANTH Yummy red grain that’s popcorn tasty, easy to grow.A few plants will give you a winter’s supply of red ‘rice’ and that’s a good thing. MORE ON GARDENING FOR FREE. DIG A ROOT CELLAR. GORGEOUS, USEFUL, NO NEED FOR ELECTRICITY to keep your food cold. Then learn to make your own cheese! Easy and lucrative! Make your own Butter. Make your own Bread. Make your own Everything. 535.A.D. How Krakatoa punched the planet’s lights out for 18 months. Agriculture failed, almost everybody on planet Earth died. The JUSTINIAN PLAGUE followed as vermin/rats multiplied. One volcano or Super Caldera & It could happen again. TIPS FOR GARDENING IN THE DARK! DO GOOGLE SEARCH on EMERGENCY SURVIVAL SITES. You will instantly read everything that you wanted to know about related to FEEDING YOURSELF during a ‘LIGHTS OUT” or living on a NOAH’s ARK. Like… FOR YEARS ON END. Solar ovens, growing fish in a barrel. You will LOVE the sites that you locate! How YELLOW STONE could EXPLODE AND WRECK WESTERN AMERICA!!! Caldera ready to blow! Don't live near it! TO BEE OR NOT TO BEE, that is the Question. Second article on how Bees are dying off, threatening all AGRICULTURE. What does this mean for you? BEELESS IS TREELESS! No seeds will grow inside fruit without BEES? But…DO NOT WORRY. YOU CAN PROVIDE YOURSELF WITH HEALTHIER BEES than bee ranchers have. The secrets!! BAYER CHEMICALS MAKES THE PESTICIDE THAT DID IT. And America is STILL USING IT! GLOBAL WARMING HAS CREATED NEW PLACES TO FARM AND GARDEN IN THE NORTHERN ZONES, places which are inexpensive. Also, new crops to plant like Dates! Lichee fruit, mangoes, chayotes, ---Maui Purple Passionfruit, citrus. built for LONG SHELF LIFE having no FLAVOR or they could be TRANSGENIC!Who wants tarantula genes in our BROCCOLI? WALMART OFFERS A GUARANTEED NON GMO YELLOW CORN! CARROTS ARE MADE OF STEEL THESE DAYS. SWEET YELLOW CORN has disappeared from supermarkets. Whazzat about? WE GOTTA GROW THAT FINE STUFF! WHITE just doesn’t cut it. NO corn cuts it today. It’s all GMO and will change HUMAN DNA! HERITAGE SEED REQ'D! WALMART HAS IT. CARDBOARD TOMATOES, ENDEMIC! Secrets of Sweet Babies found here! HOW DO WE SURVIVE THE FUTURE COMING AT US? 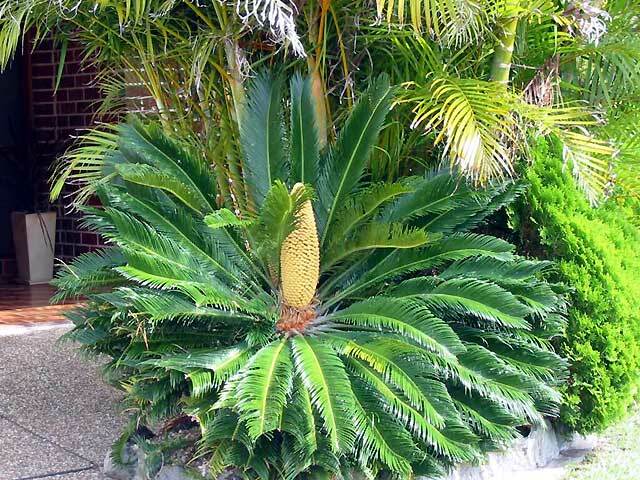 THE CYCAD. THEY INSPIRE PASSION; THEY TAKE YOU BACK TO ATLANTIS and the Lost Continent of Mu. Millions of years old! Often called SAGO, growing them is NOT HARD TO MASTER just no hot summer sun on their backs! Brown eggs on central stem give you thousands of babies. Why wouldn’t you want a few? YEP. they are all in COMMON CAUSE, publish it all on your blog. THE FULL LIST of 7,000 free seminars and their CLICKABLE URLS, is ONLINE at ASTRAL PAGE. YOU can post the entire thing on your website free, even monetarize it. I ask nothing. (SEE HOW TO MERCHANDISE YOUR OWN WEBPAGE) I don't mechandise MINE. Just do birth charts. YOU CAN REPUBLISH ALL THESE 7,000 SEMINARS YOURSELF. FREE. I won't be having these websites much longer. My kids won't keep them going. Get the full list of subjects as this is about .005% of the FREEBIE "BEST LIFE TIPS " get a free PHD --THRU YOUR PC, the Anita Sands Hernandez, LIFE 101 SEMINARS! Our POSTER is ANITA SANDS HERNANDEZ, Los Angeles Writer, Researcher, Mother of 4 and Career Astrologer. Catch up with her websites TRUTHS GOV WILL HIDE & NEVER TELL YOU, also The FUTURE, WHAT'S COMIN' AT YA! FRUGAL LIFE STYLE TIPS, HOW TO SURVIVE the COMING GREAT DEPRESSION, and Secrets of Nature, HOLISTIC, AFFORDABLE HEALING. Also ARTISANRY FOR EXPORT, EARN EUROS. Anita is at astrology@earthlink.net ). Get a FREE natal horoscope "my money/future life" reading now + copy of your actual natal horoscope as a Gif file graphic! No smarter, more accurate career reading out there! <===BACK TO THE PORTAL TO ALL WEB INDEXES leading to 7,000 articles. U CAN REPUBLISH ALL FREE! BLOG STUFFERS for U-2-HAVE AD REVENUE!